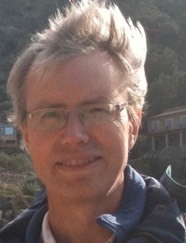 John McCaskill is Professor of Theoretical Biochemistry (D.Phil. Oxford, 1982 in Theoretical Chemistry) with thirty years experience in multidiscipinary experimental and theoretical scientific research. Currently he is a visiting professor at the University of Bochum and is head of the BioMIP Research Team. McCaskill worked with Nobel Prize winner Manfred Eigen on the foundations of evolutionary biotechnology, has extensive experience in coordinating large projects with science and industry, including the coordination of the EU integrated project Programmable Artificial Cell Evolution (PACE). With over 70 scientific publications himself, he has managed teams of researchers since 1987, and led research departments in this area since 1992. He is one of the founding directors of the European Center for Living Technology, an external faculty member of the Santa Fe Institute, and a member of the Deutsche Bunsengesellschaft. Publications sorted by theme, period and institution may be seen here.